Honey is produced in most of the countries of the world. Ayurvedic as well as Yunani (Greek) medicine have been using honey as a vital medicine for centuries. Scientists of today also accept honey as a Ram Ban (very effective) medicine for all kinds of diseases. Honey can be used without any side effects for any kind of diseases. Today’s science says that even though honey is sweet, if taken in the right dosage as medicine, it does not harm diabetic patients also. A famous magazine named Weekly World News published in Canada dated 17 January 1995 has given a list of diseases that can be cured by Honey and Cinnamon as researched by western scientists. ARTHRITIS: Take one part honey to two parts of Luke warm water and add a small teaspoon of cinnamon powder, make a paste and massage it on the itching part of the body. 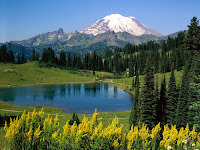 It is noticed that the pain recedes within a minute or two. Or for arthritis patients daily morning and night take one cup of hot water with two spoons of honey and one small teaspoon of cinnamon powder. If drunk regularly even chronic arthritis can be cured. In a recent research done at the Coppen Hagen University. It was found that when the doctors treated their patients with a mixture of one tablespoon Honey and half teaspoon cinnamon powder before breakfast, they found that within a week out of the 200 people so treated practically 73 patients were totally relieved of pain and within a month, mostly all the patients who could not walk or move around because of arthritis started walking without pain. HAIR LOSS: Those suffering from hair loss or baldness may apply a paste of hot olive oil, one tablespoon or honey, one teaspoon cinnamon powder before bath and keep it for approx. 15 min. and then wash the hair. It was found very effective even if kept for 5 min. also. CHOLESTEROL: Two tablespoons of honey and three teaspoons of cinnamon powder mixed in 16 ounces of tea water if given to a cholesterol patient,it reduces the level of cholesterol in the body by 10% within2 hours. As mentioned for arthritic patients, if taken 3 times a day any chronic cholesterol cured. As per the information received in the said journal,pure honey taken with food daily relieves complains of cholesterol. COLDS: Those suffering from common or severe colds should take one tablespoon Luke warm honey with 1/4 teaspoon cinnamon powder daily for 3 days. This process will cure most chronic cough, cold and clear the sinuses. HEART DISEASES: Make a paste of honey and cinnamon powder, apply on bread or chappati instead of jelly and jam and eat it regularly for breakfast.It reduces the cholesterol in the arteries and saves the patient from heart attack. Also those who have already had an attack, if they do this process daily, are kept miles away from the next attack, Regular use of the above process relieves loss of breath and strengthens the heart beat. In America and Canada, various nursing homes have treated patients successfully and have found that due to the increasing age the arteries and veins, which lose their flexibility and get clogged, are revitalized. IMMUNE SYSTEM: Daily use of honey and cinnamon powder strengthens the immune system and protects the body from bacteria and viral attacks. Scientists have found that honey has various vitamins and iron in large amounts. Constants use of honey strengthens the white blood corpuscles to fight bacteria and viral diseases. LONGEVITY: Tea made with honey and cinnamon powder, when taken regularly arrests the ravages of old age. Take 4 spoons of honey 1 spoon of cinnamon powder and 3 cups of water and boil to make like tea. Drink 1/4 cup. 3 to 4 times a day. It keeps the skin fresh and soft and arrests old age. Life spans also increases and even if a person is 100 years old. Starts performing the chores of a 20 years old. 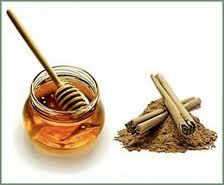 PIMPLES: Three tablespoons of honey and one teaspoon of cinnamon powder paste. Apply this paste on the pimples before sleeping and wash it next morning with warm water. If done daily for two weeks, it removes pimples from the roots. WEIGHT LOSS: Daily in the morning 1/2 hour before breakfast on an empty stomach and at night before sleeping, drink honey and cinnamon powder boiled in one cup water. If taken regularly it reduces the weight of even the most obese person. Also drinking of this mixture regularly does not allow the fat to accumulate in the body even though the person may eat a high calorie diet. CANCER: Recent research in Japan and Australia has reveled that advanced cancer of the stomach and bones have been cured successfully. Patients suffering from these kinds of cancer should daily take one tablespoon of honey with one teaspoon of cinnamon powder for one month 3 times a day. FATIGUE: Recent studies have shown that the sugar content of honey is more helpful than detrimental to the body strength. Senior citizens who take honey and cinnamon powder in equal parts are more alert and flexible. Dr.Milton who has done research says that half tablespoon honey taken in one glass of water and sprinkled with cinnamon powder, taken daily after brushing and in the afternoon at about 3:00 p.m. when the vitality of the body starts decreasing. 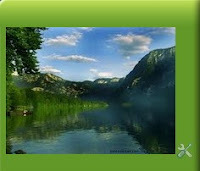 Increases the vitality of the body within a week. HEARING LOSS: Daily morning and night honey and cinnamon powder taken in equal parts restores hearing. Labels: Health, Herbs, Weight loss .